Due to popular demand and cakes running out last week, we will be holding a cake shop after school on Thursday 23rd November 2017. We will be selling homemade chocolate crunch, chocolate hedgehogs & flapjack. £1 for a bag (5 cakes in a bag) & all money raised goes to school fund. 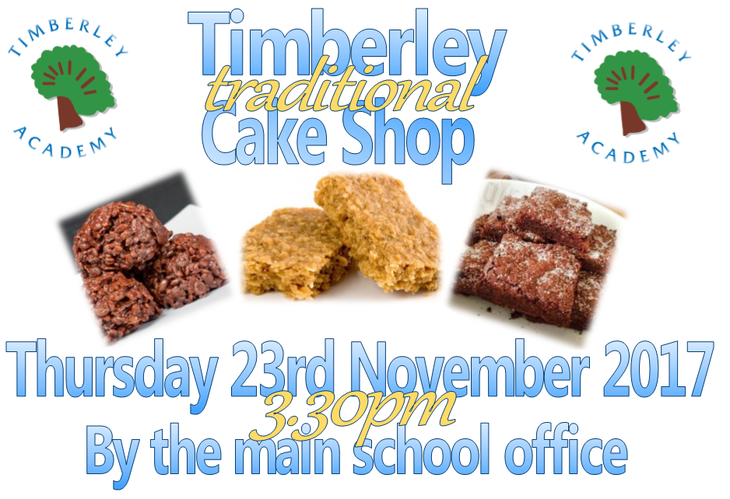 The cake shop will be held by the main school office at 3.30pm.